Laboratory profile: The diagnostic profile is typically associated with findings of hypoglycaemia with serum glucose levels usually between 500 and 800 mg/dl. High anion gap metabolic acidosis is invariably present; however, if frequent vomiting occurs, mixed metabolic acidosis, and alkalosis picture may supervene.5 The clinical profile may also exhibit hyperosmolarity, increased serum, and urinary ketone levels, mild hyponatremia, and hypocalcemia. Serum potassium levels are usually normal at presentation due to extracellular shift of potassium but once the treatment is initiated, hypokalemia may become clinically manifest. Volume replacement: The first goal of therapy is to correct tissue hypo-perfusion, improve glomerular filtration and reverse the insulin resistance and deficiency. Total body water deficit may be up to 10–12 L and replacement is usually started with 0.9% sodium chloride (NS). Volume replacement can be given as 2 L 0.9% NS over first two hours followed by 2 L 0.9% NS or 0.45% saline over next 4 h and 8 L 0.9% NS or 0.45% saline over next 8 h while simultaneously monitoring the central venous pressures. Insulin therapy: Insulin therapy is started using a continuous infusion of 0.1 units/kg/h. A bolus dose of 0.15 units/ kg may be given while monitoring the blood glucose level every hour. If the levels do not fall by approximately 75 mg/ dl/h, the infusion rate of insulin is doubled. Once the levels fall to 230-300 mg/dl, 5% dextrose infusion is started. 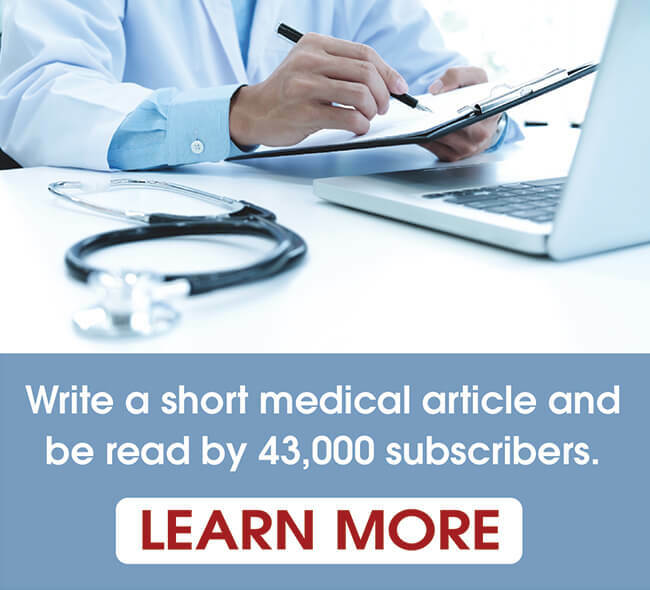 When ketone levels disappear and the patient accepts oral intake, subcutaneous insulin therapy can be initiated with an overlap of about 30 minutes with insulin infusion. Potassium replacement: Potassium deficit in DKA is usually in the range of 300 mEq, but can go higher up to 1000 mEq and is attributed to osmotic renal losses and shifting of intracellular potassium to extracellular space. Potassium deficit may persist after DKA is treated and hence, oral replacement should continue. Bicarbonate replacement: Acidosis generally does not require bicarbonate therapy. It usually resolves once insulin therapy is started. Bicarbonate replacement is initiated when pH < 7.0. The replacement is done using the base deficit by the following formula: Bicarbonate (mmol) = base deficit × weight (kg) × 0.3 -Half of the amount is given as bolus dose and rest as slow infusion over 8 hours period. Mortality in DKA may result from cerebral oedema, particularly in children and adolescents; intravascular volume depletion; failure to recognize and replace electrolyte abnormalities; and the presence of comorbid conditions. Hypoglycemia occurs when the level of glucose present in the blood falls below a set point, below 4 mmol/L (72mg/dL).8 Being aware of the early signs of hypoglycemia will allow you to treat your low blood glucose levels quickly, in order to bring them back into the normal range. Symptoms are sweating; fatigue; and feeling dizzy. Symptoms of hypoglycemia can also include being pale; feeling weak; hungry; a higher heart rate than usual; blurred vision confusion; convulsions; loss of consciousness; coma. 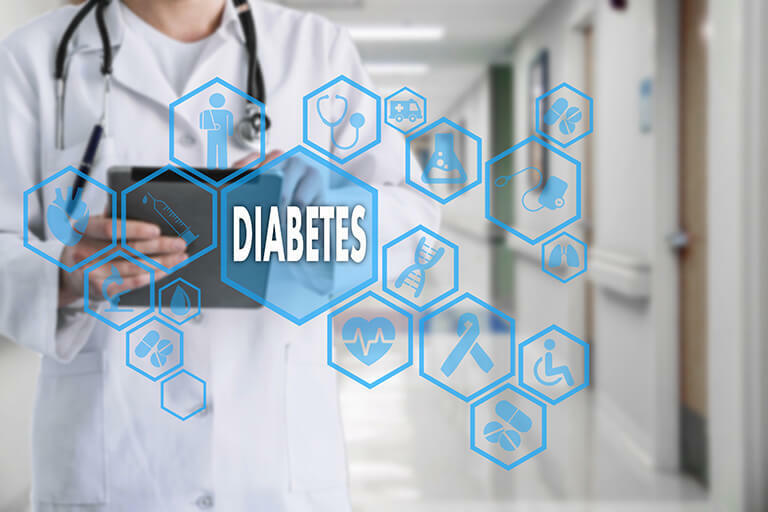 A dangerously low blood sugar can occur in people who take the following medication Insulin; Sulphopnylureas (Glibenclamide, Gliclazide; Glipizide; Glimepiride; Tolbutamide) prandial glucose regulators (such as Repaglinide; Nateglinide). Factors linked to a greater risk of hypoglycemia include too high a dose of medication (insulin or hypo causing tablets); delayed meals; exercise; alcohol. 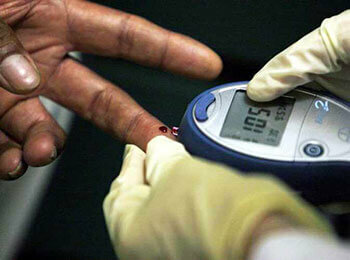 Hypoglycemia is detected by measuring blood sugar levels with a glucose meter. Urine tests do not detect hypoglycemia. Mild case of hypoglycemia can be treated through eating or drinking 15-20g of fast acting carbohydrate such as glucose tablets, sweets, sugary fizzy drinks, or fruit juice. A blood test should be taken after 15-20 minutes to check whether blood glucose levels have recovered. Severe hypoglycemia may require an ambulance if loss of consciousness occurs or a seizure persists for more than 5 minutes. Severe hypoglycemia can be treated with Glucagon if a Glucagon injection kit is available. Severe hypoglycemia can lead to immediate danger if not treated immediately. Severe hypos can potentially lead to coma and death. Clinical presentation and pathogenesis of non-ketotic coma are similar to DKA. However, the patients are usually elderly who present with diabetes for the first time and are severely dehydrated, hyperglycaemic and often in coma. The presentation is delayed due to absence of ketosis but the management strategies are similar to that of DKA. The rate of fall of plasma glucose during management should be approximately 100 mg/dl/h and fluid replacement should be done with NS. Monitoring serum potassium levels is important for replacement therapy. Mortality is high because of associated concurrent illness, thrombotic events or infections. Macrovascular complications10 due to accelerated atherosclerosis caused by hyperglycemia; hyperlipidemia; and old age; cerebrovascular diseases (TIA-Stroke); cardiovascular diseases (angina-MI-HF); peripheral vascular diseases (ischemia-gangrene). Microvascular complications similar to macrovascular complications in etiology related to hyperglycemia but pathologically it is hyaline arteriosclerosis of vessel wall causing narrowing of the vessel and distal ischemia. The role of hyperglycemia is critical in the development of microvascular complications as DM. retinopathy; peripheral neuropathy11; and nephropathy (microalbuminuria-ESRD)12. Glycemic fluctuations in diabetes threaten many vital organs. Hypoglycemia/hyperglycemia can increase the risk of dementia; confusion; vascular diseases i.e. : cerebral vascular accident and myocardial infarction; and death. For the patient with diabetes, heart disease is the number-one reason for death. 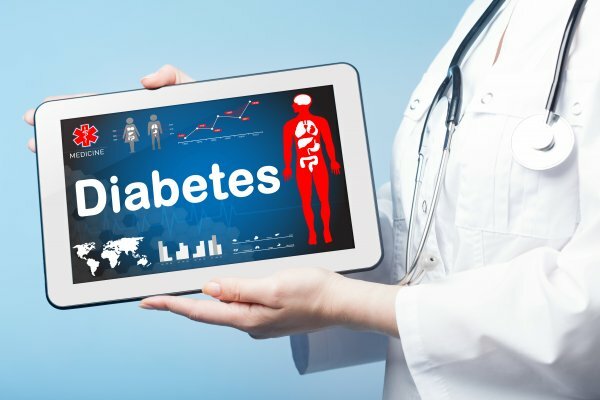 Therefore, the cornerstone in the management of diabetic patients is to reinforce medication compliance; adequate blood sugar control with the use of right medications; modified life style; and healthy eating habits; together with controlling all other risk factors. Inzucchi SE, Bergenstal RM, Buse JB, et al; American Diabetes Association (ADA); European Association for the Study of Diabetes (EASD). Management of hyperglycemia in type 2 diabetes: a patient-centered approach. Diabetes Care. 2012;35(6):1364-1369. 2. [Guideline] American Diabetes Association Professional Practice Committee. American Diabetes Association clinical practice recommendations: 2013. Diabetes Care. January 2013. 36 (suppl 1):S1-S110. 3. Report of the expert committee on the diagnosis and classification of diabetes mellitus. Diabetes Care. 2003 Jan. 26 Suppl 1:S5-20. 4. Stern MP. Do non-insulin-dependent diabetes mellitus and cardiovascular disease share common antecedents?. Ann Intern Med. 1996 Jan 1. 124(1 Pt 2):110-6. 5. Haffner SM, D’Agostino R Jr, Mykkanen L, Tracy R, Howard B, Rewers M, et al. Insulin sensitivity in subjects with type 2 diabetes. Relationship to cardiovascular risk factors: the Insulin Resistance Atherosclerosis Study. Diabetes Care. 1999 Apr. 22(4):562-8. 7. Sacks DB, Arnold M, Bakris GL, Bruns DE, Horvath AR, Kirkman MS, et al. Executive summary: guidelines and recommendations for laboratory analysis in the diagnosis and management of diabetes mellitus. Clin Chem. 2011 Jun. 57(6):793-8. 8. Gerstein HC, Miller ME, Genuth S, Ismail-Beigi F, Buse JB, Goff DC Jr, et al. Long-term effects of intensive glucose lowering on cardiovascular outcomes. N Engl J Med. 2011 Mar 3. 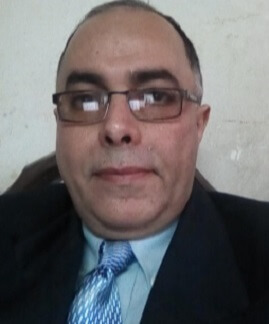 364(9):81828.
he management of severe hypoglycemia and hyperglycemia in relation to the life-threatening complications of diabetes by Dr Khaled Mohammed Aly.